Best ever No better available. I thought it's better than 17 years. Nice Men må man ikke forvente lidt mere af en Rom til over 1.500. Tosset Super Rom. Dog lidt flad i smagen i forhold til 15 års. 15 års er efter min mening fantastisk. 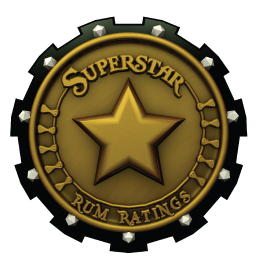 Super Rhum Velier is a series of "Heavy Rums" with long storage, where the dropped by cask strength. Nice Good sweetness and not especially spirits. You feel the percentages. 1996 Det var 1996 som jeg smagte. Prisen/smag taget i betragtning er den lidt dyr. I am on! Good balance, a little sweet and very tasteful and smooth. Nice but expensive Had expected a little more for that price. 9.5 would have been the right grade. Very good What a great experience. My first rum from U.S. ever. Very nice Diplomatico Single Vintage 2001 is a unique vintage rum developed from a single harvest, the best ever recorded in Venezuela. Nice A great rum, very soft and delicious. But maybe too sweet. 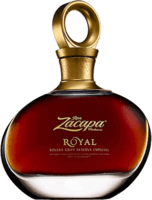 Super En klart bedre rom end Ron Zacapa. Til prisen er det den bedste rom på marked. Beautiful Very good. Tastes like French style rum, but delicious smooht. Nice Super fedt at smage de tre op mod hinanden icbu, pm og ehp. 8+ Det er en dejlig rom. Lidt rå og ikke så skarp. Minder om foursquare. 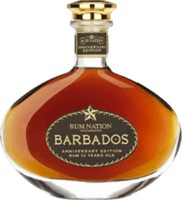 Nice Blackadder – Barbados Four Square Rum 2004 Distilleret i November 2004 Bottled i Juni 2017 Alder 12 År. Vol. 64,1% Flasker produceret 276! Ok nr. 612/2488 Flaske 94. Lidt tynd i smagen, hvorfor spritten på 51% kommer lidt for meget frem i første indtryk. Vinder på eftersmagen. Ok Syntes der er noget ved den. Finder gode noter og fin smag. 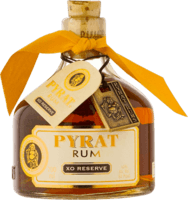 Nice This rum is produced in Barbados by Richard Seale, Foursquare Distillery. The space is the warehouse for a minimum of twelve years. Super Sweet and soft with taste of vanilla, caramel, honey and cinnamon, long and spicy aftertaste. Ok Lots of sweetness but also a sharp taste of spirits. Hmmmm A bit hard - ok nice rum but too expensive. The XO is a fine alternative. Nice God rom. Næse er sprittet, men alligevel noget interessant. Krop til dig og med et hint af vanilje. Nice This is not sweet rum, but it is soft and delicious. Nice Not as sweet as expected, but it does not matter - it's also not sharp. Nice I find notes of vanilla and almond with rich and silky and flavors of caramel and vanilla. Slightly dry, with a long lasting finish. Nice Agricole 7 Years Old Aged for 7 years in oak casks, flavors of vanilla, dried roasted fruit and tobacco. Nice sweet rum My first Angostura and it is in my taste. Nice sweet rum. Good Good it is, great? ... is it so much better than 15 years EL? Nice Very good Rhum aricul . It's something for pirates. Nice Coming from the area Nosy Be in Madagascar . Notes of raisins. God rom En overraskende god oplevelse. Til prisen er det den bedste jeg har smagt. Sød og rund i smagen. God Tydelig fadsmag, der står meget godt til denne lidt søde rum. Ok Ikke helt i top. En Diplomatico der ikke er sødet men som har lidt i sig. Flad eftersmag. Ok Most for good cocktails. A little hard to drink clean .. but not impossible. Compared to price it is good. Not impressed Very sharp, with a taste of asphalt and rubber. Vanilla?? Can't find vanilla flavor. Slightly slim in the taste at last. OK Not as sweet as expected, but it does not matter - it's also not sharp. ikke genkøb Rating kommer når jeg er blevet ædru eller i morgen. Ok Mombacho 12 years. 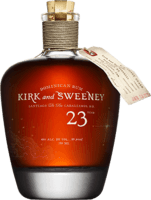 Rum with the right balance between aromas and hints given by the aging process. 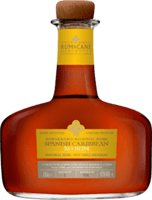 Ok Not exceptionnel rum but good price. Rum with spices and cofee aromas. Rum nation Caroni kan man smage men ikke så gennemtrængende..
Fino I't is a typical Christmas ROM. Sneet and easy to drink. Strong Strong but lots of flavor. In fact, a simple ROM which can be drunk by all. Difficult Very complex, my first Compagnie ROM . Missing little aftertaste. OK agree with Stig , not the very top of ROM. But not bad. Origenes God rum, with lots of dry fruit, honey and good taste. 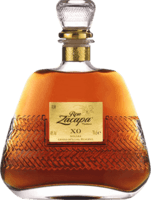 God bulk rom En god rom fra producenten af ron zacapa. Kan købes for ned til 200 kr. i Meny. Ikke en kæmpe Ok rom - men den er ikke meget bedre end lillebroren på 15 år. Derfor ikke nogen kæmpe oplevelse, men værdig. Almost arrrhhh does not think it comes close to reserva exclusiva. only with coke!! Did't know the price of this when i tasted it. At the tasting I thought it was a cheap one. unnaturally sweet I do not like the synthetic taste. It seems unnaturally sweet. Maybe Have drunk it, but can't remember it. Need to try again. OK Very nice rum and a surprise...how good a sipping rum this is. Ok Thisted is a ok rom, but the taste last not doe long as expected. .. I am big fan of ED 12 and 15 years. There is no comparison to the other. OK For mixing only. Men fin smag og karakter. Ikke min kop te. Mixer only Nice rum to use as a mixer with cola. As all white rums, not to drink pure/on the rocks. Never again Taste horrible. I can not find any of the taste notes. mixer Bin there done that as a teenager. For mix in Pina colada. BAD Very synthetic and a very strange taste . Perhaps the act of drinks. Captain Morgan Drinkable but not my favorite Rum. Only for mixing. For mix drinks only I think its good in mojito. For mix drinks only. .
For mix drinks only I think its good for in mojito. For mix drinks only. Rum???? Rum or not - that is the question. But it burns all the way down..